Please welcome mom-to-be blogger Jaclyn Stapp! 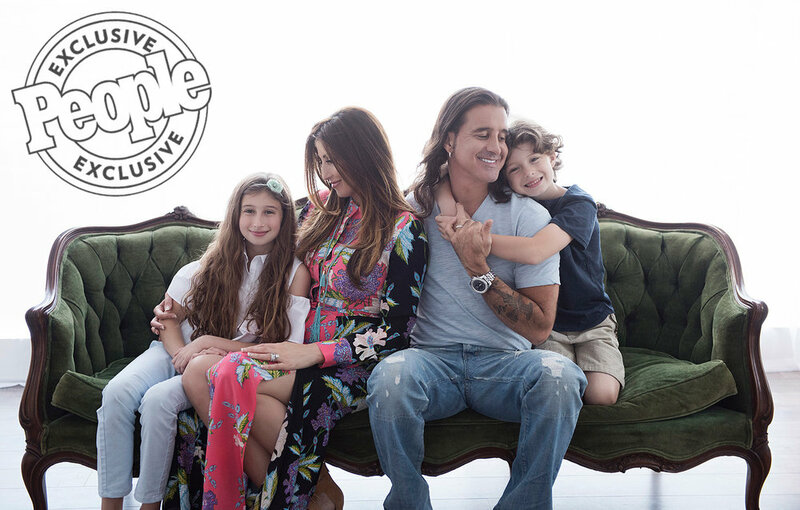 The wife of Grammy-winner Scott Stapp is currently expecting their third child and second son together, whom they plan to name Anthony. The couple are already parents to son Daniel Issam, 7, and daughter Milán Hayat, 10. Scott, 44, also has a 19-year-old son named Jagger. The Creed and Art of Anarchy rocker recently wrapped a solo tour, and is writing new music during his downtime. The former Miss New York USA, 37, is focused on CHARM, her nonprofit charity that provides education and support to underprivileged children. The spouses revealed to PEOPLE exclusively in June that they will welcome another baby into the family, and shared gorgeous photos from their elegant “Royal Prince”-themed baby shower earlier this month. You can follow Jaclyn on Instagram @jaclynstapp and Twitter @mrsjstapp. Doctors’ orders: Stay away from deli meats, soft cheeses and alcohol, among other consumables! These are just the beginning of the lifestyle changes a mom makes as her body prepares to bring forth new life. The unusual food cravings, hormonal shifts and a woman’s physical transition to make room for the life inside her can bring many changes to her skin, as well. I am battling everything from brown spots to stretch marks. After much trial and error, I finally called on a professional: Karee Hays, owner of Karee Hays Esthetics, who helped me figure out the perfect pregnancy skincare regime that will keep this mom glowing. Stretch marks are a challenge in every woman’s pregnancy. They come in all shapes and sizes. Every mama has to have go-to belly cream and skin soother that works. Basq NYC makes an amazing lavender stretch-mark oil that I use. It’s soothing, smells great and is made with 100 percent botanical oils. Now, onto the face. The “pregnancy mask” — Melasma, which can leave brown patches of discoloration on the face — was an issue for me in both of my previous pregnancies. It can be so discouraging to see these areas come out of nowhere, and not know how to get rid of them! So I started using KH Koji Pads with a drop of the KH Peptide Gel for extra moisture. These miracle workers even out skin tone with pregnancy-safe ingredients that can be customized to your skin type, and what I like most is that you see fast results. I only know that my three sisters and I share a bottle! Any mama-to-be can never go wrong with these two simple rules: Cleanse your face and wear SPF daily! I stay away from harsh soaps that rob the skin of natural oils and moisture. Cetaphil is a great cleanser and available everywhere. When I want to indulge, I treat myself to the KH Lactic Cleanse. It’s luxurious on the face, milky and doesn’t strip natural oils. Hubby and I do this cleanse together! Pregnant moms are tough enough on themselves, and hopefully I have inspired you to feel worthy of some treats of self-indulgence! The glow from your heart will never fade once your baby is in your arms, and now your skin can feel smooth and glowing before and after delivery.